Do you have any broken, missing or failing teeth? Baton Rouge Dental Implant cosmetic dentist Dr.Galliano can give you back the beautiful smile you deserve. The use of dental implants has become the standard of care to replace one or multiple missing teeth. In the past, bridges and dentures were the only choices to treat patients with missing teeth. Dental implants are strong replacement tooth roots that serve as the base for replacement teeth – providing a more comfortable fit and natural looking smile. For patients in Baton Rouge who have experienced tooth loss, dental implants can offer many advantages to more traditional treatments. A single implant can replace a single tooth and eliminate the need to use the adjacent teeth for bridgework. Multiple missing teeth can be replaced with multiple implants and makes the need for partials and bridges almost unnecessary and obsolete. Because dental implants function just like your own teeth, chewing is easier and you can eat with the confidence that your teeth won’t slide out of place like dentures sometimes can. In addition, you don’t have to remove them to clean or use adhesives to keep them in place. Dentures can also slip when you speak if they aren’t well fitted, which can cause you to slur or mumble your speech. Millions of Americans experience tooth loss. Whether it is caused by injury, tooth decay or gingivitis, tooth loss can have a significant impact on quality of life and self-esteem. Dr. Galliano offers patients in Baton Rouge and Gonzales who suffer from tooth loss a welcoming and compassionate setting to receive dental implants. When deciding to have cosmetic dental procedures, you should look for a skilled and experienced Baton Rouge cosmetic dentist. Dr. Galliano has over 33 years of expertise in performing complex dental procedures and has a specially trained staff. Dr.Carol J. Galliano, DDS has always stayed on the cutting edge with practices and technology to provide his patients with the best possible care. 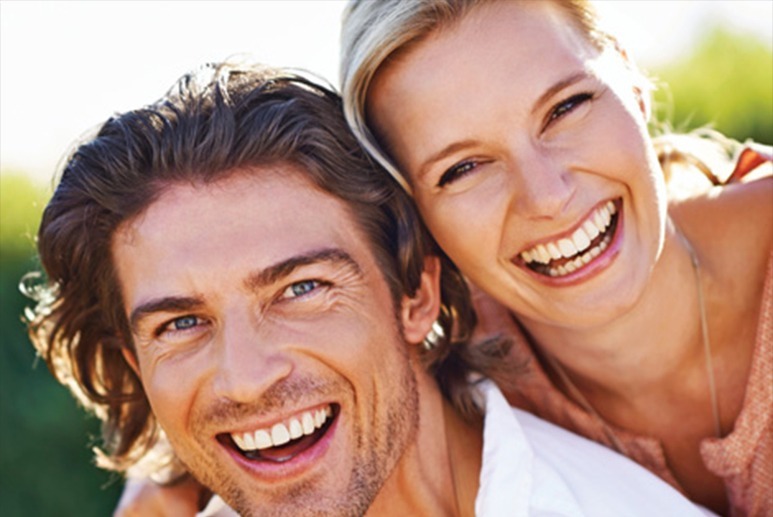 Everyone is raving about Dental Implants and how painless and easy the procedure is. One method is an immediate implant procedure that places the implant into extraction site right after the tooth is extracted. This procedure tremendously lowered healing time and is proven highly effective. The second would be to place an implant in the place of tooth that has been missing for several years. Implants are made of titanium, this material provides stability and doesn’t allow for bacteria to attach to its surface. Dental Implant procedures are easy and more importantly, painless for patients. There is no need to take off work or worry about any postoperative pain because Dr.Galliano useless a technique that makes a smooth transition for his patients. The implant needs approximately 4 months to establish full stability before a crown can be placed. A temporary crown is used during this process until Dr.Galliano places the beautiful porcelain crown. If you have any missing, failing or broken teeth, Dr.Galliano can consult with you to see if Implants are the best option for you. NO! Implants are placed in the bone where there is no nerve innervation. There is no post operative pain associated with implants and no time is needed to take off of work.